Move right into this updated light and bright custom home now! Enjoy life in a Maintenance Free Community (no snow removal or grass cutting!)! New roof!! New windows! New barn wood floors which are amazing on the main level and the 2nd level! Also, the main level and 2nd level of this home were just repainted! Vaulted ceilings with beautiful floor to ceiling windows bring in the sunshine! Spacious updated kitchen with a large island, granite counter tops and Stainless Steel Appliances! The family room is extended and has skylights and view of the back deck! Private office area away from the living areas! Great loft area upstairs! Master Suite has a 2 Sided Fireplace that is shared with the Luxury Bath featuring a Whirlpool Tub and Sep Shower. The walk in closet could have its own zip code its so large! Great finished basement with full updated bath! 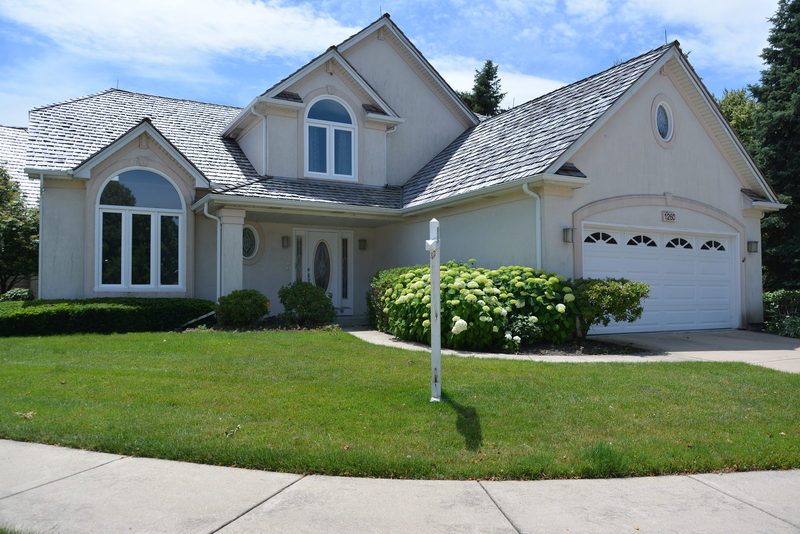 Close to shopping, district 204 schools which this home is part of and more! Minutes from the Metra station and the highway!! Listed by John Herman of Property Up Inc.